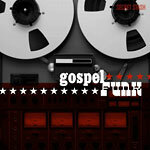 This collection of rare funky gospel gems has been almost two years in the making! Secret Stash Records spent hundreds of hours sorting through and listening to a collection of tapes containing over 3,000 tracks known as the House of Beauty catalog to bring you this compilation. Everything is remastered and a download card redeemable for an MP3 version of the entire album is included.